This does sound good! Thanks for the recommendation! I love mysteries. Can't remember if I've read Gansky before or not, but I'll have to look him up at the library. Thanks! Oooh, that does sound good. So many of my friends review Historicals, that I'm always excited to come across a good suspense/thriller. LOL! Alton Gansky wrote all three books in the series. Each one is a stand-alone novel. I try to provide a mix of genres here. I'll be reviewing another Alton Gansky book in a few weeks. There's plenty of action in this book. If you're a big mystery/thriller fan, you'll love this. 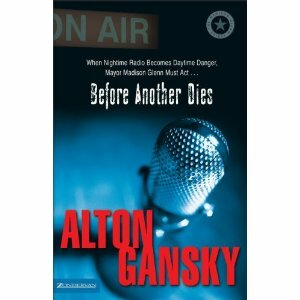 This was my first Alton Gansky book, and I was impressed. He's multi-published and well-known in the industry. This sounds good, Susan! I'll add it to my wish list, too. PS-- I think certain browsers present a problem for viewing the top portion of your site. The ones I use don't have a "Tools" option. Like Lynn, I always go to the comment page and read the original post there.